I saw a quote on Instagram once which read.. Sometimes the world throws you conflicting information and you try figure out whats true to your situation and whats not as relevant. This quote is true for many things. If you like math but hate art class, then its more efficient to focus becoming an engineer than improving your efforts as an illustrator. If you're a centre forward, it would be counter productive to practice defending 1v1's over more finishing practice. But here's the thing. Football is a very dynamic game. Unlike some sports where you can rely on a couple of strengths (e.g. physical size &strength as a blocker in American football). But in football, you need to have good competency in all the fundamentals. A ball can fly to you from any angle, height or direction. No matter what your position, you will make a pass. You will make a tackle. You will head the ball. You will battle it out with another opponent for a ball. If you don't have the minimum competency to these things under situations of pressure - you will lack the things needed to play at the highest level. 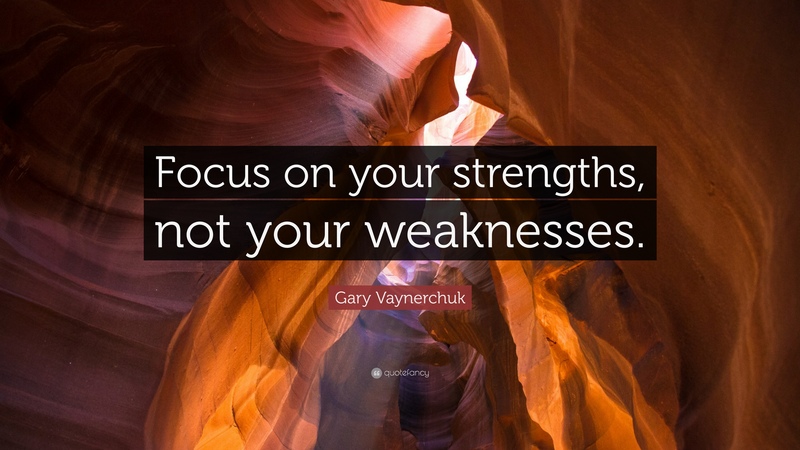 So here are the three steps I'd take when deciding whether to focus on your strengths and weaknesses and how to differentiate them. 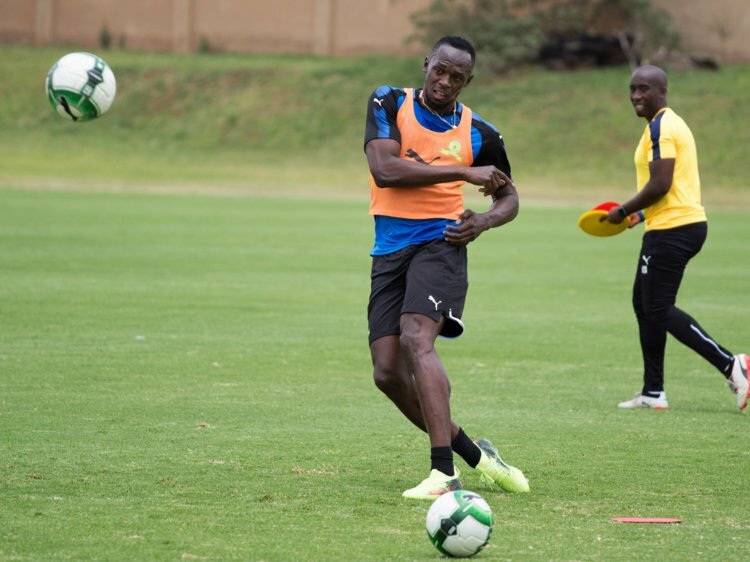 As you've probably heard, Usain Bolt probably the greatest track and field athlete of all time wants to be a professional footballer. Sure his speed on the wing might leave a fullback dead - but is he able to receive a ball with a perfect first touch? Then is he able to deliver a cross? Score with enough power and accuracy that could beat a veteran professional goalkeeper? Having watched some videos, he's still a far way off. He's still missing the competency you need in the fundamentals. 22-year old Rashaan is well on his way to becoming a professional and we have no doubt you'll see him on your TV's soon but, one contributing reason is because he's got all the fundamentals under lock. If you're not considered good/excellent at all of these, you will be put at a disadvantage and weeded out. Recognition of game situations: Watch every single Game Brain video to learn all the scenario's of game situation for teams and individual positions. Tactical play with/without ball: Watch every single Game Brain video! Now it could take you 3, 12 or even 36 months to really get good at the good/excellent standard compared to your age group. When I started my mission to become a pro-level player, I'd do extra training on all the fundamentals. I was actually okay already on the fundamentals but, it really took me a full 12-months to get to the excellent/good stage for my age group and be able to demonstrate that skill in the highlight video that eventually got me full college scholarship offers all over the USA. Only you can determine how much you need to work but once you got these under grasp, the next step is really focusing on developing the attributes that make you stand out. What position do you play? If you're a winger you need to be able to create chances for your team. If you're a striker you need to score those chances. If you're a defender you need to stop those conversions from happening. Chances are that you'll be working on many of the fundamentals in your team trainings (if you're not, you still need to be working on them at least 1-2 sessions per week). But if you only worked on the fundamentals, you'll always be "decent at everything" and never stand out. 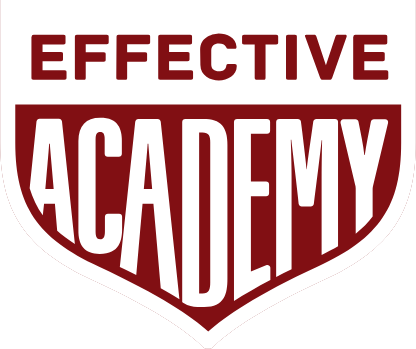 This is why you got Train Effective and what we're here to do: To help you standout! That's why you NEED to be doing individual training. Part of the individual training you do on Effective should consist of specific drills that are relatable to your position. Comprise a good chunk (between 30-60% of the time you spend training) on positional specific aspects. You will feel yourself go above and beyond your impact in your position and in your team. 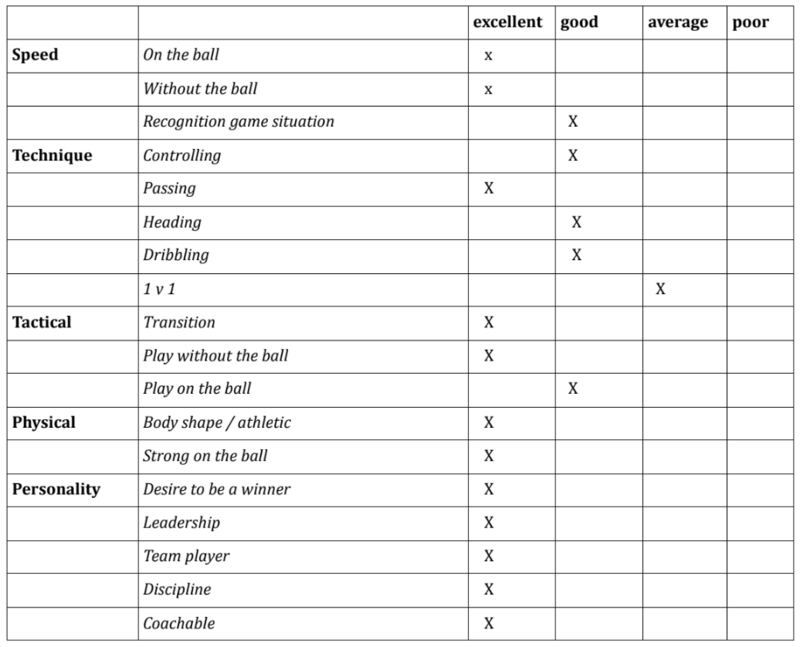 So as we've mentioned before as a footballer you have many attributes in your play. Once you've got no gaps left in your fundamentals and you've been hustling on learning and grafting your position on the field - now comes the step which will REALLY separate you from the rest. When I played with the junior teams in Australia, I was a bit better than the average on technique. I was a little, faster, had a bit better stamina and had just the notch up in soccer IQ. However, when I begun playing in Europe - EVERYONE I was playing with had good technique and ability all round. During my time on stage at FC Volendam, all these guys I was with were 18 - 22 years old and were trying to break into the first team. They had mastered the world-class Dutch fundamentals. They had been playing their position for years already against fantastic top-tier clubs like AFC Ajax. So that's when I asked myself, well what can I do to separate myself from these fantastic players? Above: Actually a pic from when I played in Switzerland this time playing against FC Zürich - the same question was asked here as I looked on. Because thats what scouts and coaches look for - what is the one-thing that separates this player from the rest? If you have that, you're unstoppable. For Kylian Mbappe its his speed on the ball. For N'golo Kante its his stamina to win balls for a full 90-minutes. For Arjen Robben, its literally just cutting in from the wing and finishing. 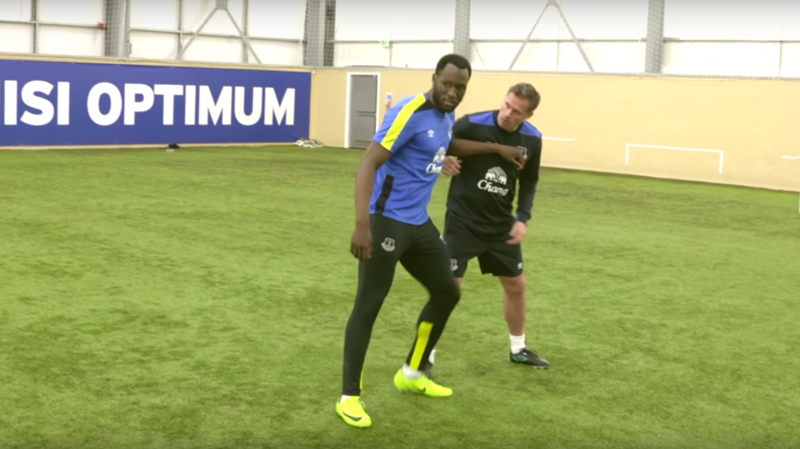 Just look at his many near identical goals and how he trains for it (must watch!). If there's ever something thats always wow'ed my school friends growing up, coaches and teammates - its my shooting power and accuracy. More specifically, my shooting from long distance. Its the one area where I've felt I've never lacked in confidence. Good goalkeepers have told me my shot is the best they've witnessed. So when the chances come at the edge of the box, I shoot. When there's a free kick from 30-yards, I grab the ball and take a chance. I practice those scenario's over and over because not only is it what I love to do, its the one-thing that separates me from the rest. Because when you start challenging yourself at the highest levels, you need to feel you have something important to bring to the team. Thats what builds true confidence. So figure that out. What is that one-thing you do that separates you from the rest?